Green Elite Landscaping can perform a wide range of tree surgeries depending on your needs. 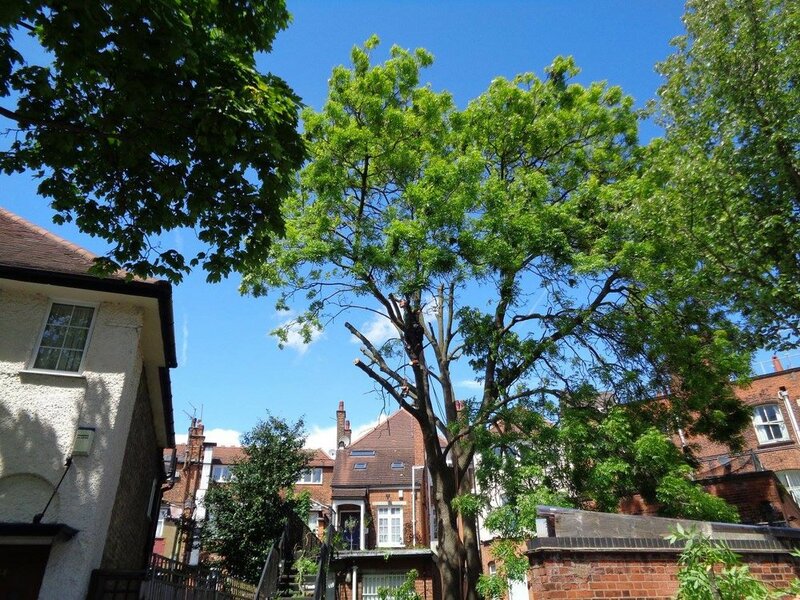 We have expert tree surgeons who have the experience and knowledge to advise on the best solution when it comes to looking after your trees, hedges and shrubbery. We take great care in carrying out this work, with special attention to health & safety and risk management. The process helps to keep a tree in place that may otherwise outgrow its position. Crown reduction involves removing branches from the crown in order to reduce the height and size. This also ensures that the crown is balanced and allows more light through the tree. This reduces the density of the crown, allowing air to flow more freely to help trees cope with strong winds and other weather conditions. It also allows more light through the tree. This process involves selectively removing branches from the crown whilst trying to maintain the tree’s original shape and size. This involves removing the lower branches of a tree’s crown in order to lift it, preventing obstruction and allowing more light through. It’s possibly the best way to enhance accessibility and visibility around a tree without having to remove the tree completely. This is a method of pruning which keeps plants small to ensure they do not overgrow. This involves the removal of all branches and most limbs, leaving only the trunk and potentially some of the major limbs. Once completed the tree is given time to re-grow, after which the pollarding process can be repeated. Pollarding is usually best performed during late winter/early spring. As the name suggests, deadwooding is the removal of dead, diseased, or damaged branches. As a tree grows it is natural for it to produce dead and dying wood. Removing this can really improve the overall health of the tree as well as making the tree safer by greatly reducing the hazard of falling branches. This is the complete removal of a tree. If there is enough space, a tree can be felled in one section, however if space is limited trees are dismantled instead. Our surgeons will advise accordingly. This technique is used for the complete removal of a tree where space is limited or there are obstructions around the tree. Dismantling involves cutting the tree into sections and removing it a piece at a time. After tree felling or dismantling a stump will be left in the ground where the trunk of the tree has been cut at close to ground level. This stump can be ground into wood chippings using a special machine and the resulting soil/chipping mixture will be left neatly in the ground (unless an alternative arrangement is requested). Interested in help with or have any questions regarding your trees?